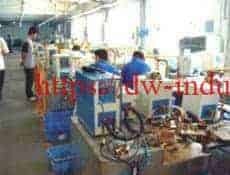 HLQ INDUCTION EQUIPMENT CO.,LTD （Former Name：DaWei Induction Heating Machine Co., Ltd） specializes in Induction Heating machines manufacturing and marketing for more than 15 years. The machines cover Automatic Surface Hardening & Tempering Machines, Air Cooled Induction Heating Machines,Flexible Brazing Systems,Auto Induction Forging Furnace,complete induction hardening system, Aluminum and Copper Melting Furnaces,Compact Adhesive Curing Systems Efficient Tube Welders & Thermal Straightening Systems. They are wildly used in heat treatment, bonding, brazing, welding, forging, melting,preheating and heat fitting solutions.Transistor converters from 500Hz to 2.0MKHz frequency & IGBT power sizes from 5 to 300 KW (KGPS 100kw^2000kw). Induction heating machines apply the most advanced electric components and unique high-new techniques.They can heat metal quickly and partially. They can also penetrate nonmetal to heat metals till metals fuse without contacting with metals directly. Compare with other heating methods, our induction heating machine has many advantages: full solid state,self-control and self-protection function. It starts up with required pressure and water, taking up less floor space and requiring less start-up and shutdown time, heating safely, frugally without any pollution. 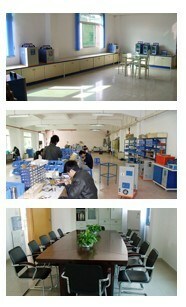 With the company development, our company pay more and more attention to research& development and service after sales. We comply ISO9000-2000 strictly in our processing. Our company wins a nice fame for our high quality machine and good.